The Annual Tom Brock Lecture began in 1999. 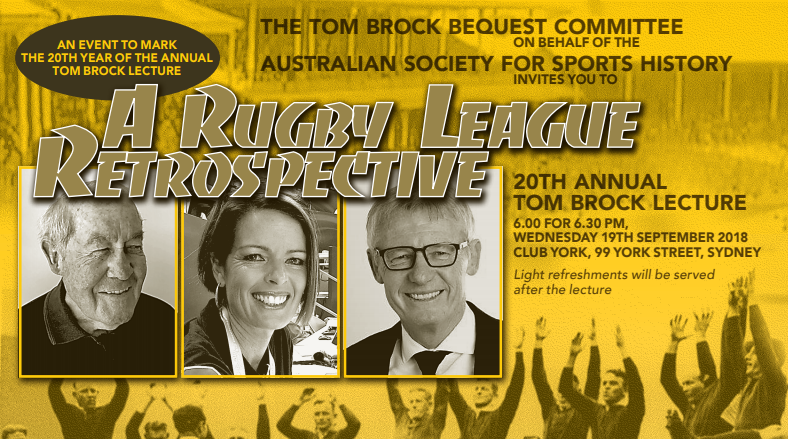 This year is an occasion to reflect on how rugby league has changed in the past two decades and how these have been reflected in the annual lectures. A Q & A panel featuring some prominent commentators in rugby league, drawn from different backgrounds, will provide a lively and informative way of looking at a number of issues. These include commercialisation, rationalisation of clubs, governance, international football, greater prominence of women and threats to the rugby league brand. An exploration of the past will provide opportunities to consider both the present and the future. RSVP and details at the Tom Brock Website. Rugby league in its earliest years displayed clear potential, but success proved elusive until a capable administrator, Ted Larkin, was handed the reins in 1909 when he became the league’s first full-time secretary. Larkin is little known today, but it was under his leadership that rugby league advanced from the unpropitious plight it was in when he took over and rapidly became the most popular winter sport in Sydney and beyond. and outline what happened to him afterwards — a sequence of events that stirred profound emotion among those familiar with the circumstances. Dr Ross McMullin is a historian and biographer whose main interests are Australian history, politics and sport. His book Pompey Elliott won awards for biography and literature. Another biography, Will Dyson: Australia’s Radical Genius, was commended by the judges of the National Biography Award. He also wrote the commissioned ALP centenary history The Light on the Hill, and another political history So Monstrous a Travesty: Chris Watson and the World’s First National Labour Government. His latest book, Farewell, Dear People: Biographies of Australia’s Lost Generation, is a multi-biography of ten exceptional Australians who died in World War I. Among them is Ted Larkin, who played a significant role in the early years of Rugby League. Farewell, Dear People has been awarded the Prime Minister’s Prize for Australian History and the National Cultural Award. 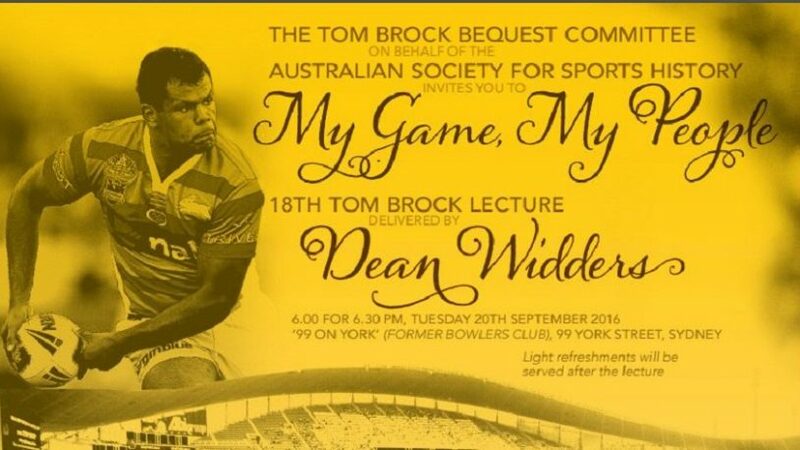 The Tom Brock Bequest Committee was established by the Australian Society for Sports History to promote research and writing on the history of Rugby League, with a major focus on the South Sydney district. One of the Committee’s functions is the award of an annual scholarship intended to assist early career researchers. For more information and details on how to apply, please click here. The closing date for applications is 4 November 2011. 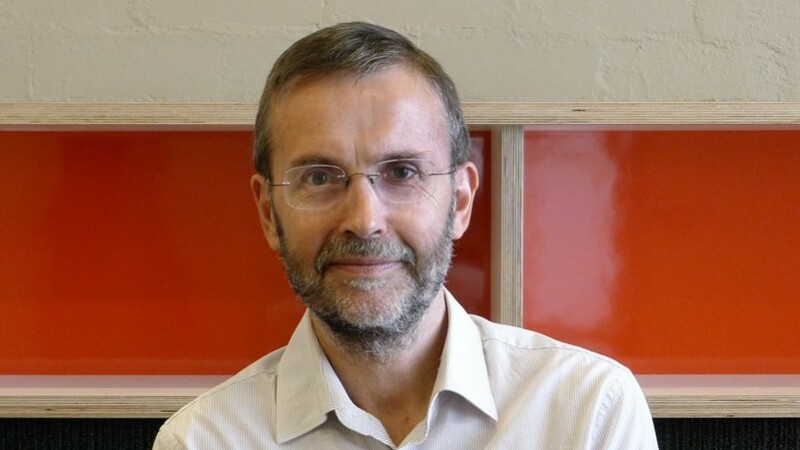 The Tom Brock Bequest Committee is delighted to announce that Dr Mark Falcous from the University of Otago will be the 2010 Tom Brock Scholar. Mark’s project is entitled “Policies and People in the Marginalization of Rugby League in Aotearoa New Zealand 1908-1995” and will examine available primary data to identify the socio-historical contexts of rugby league in New Zealand.